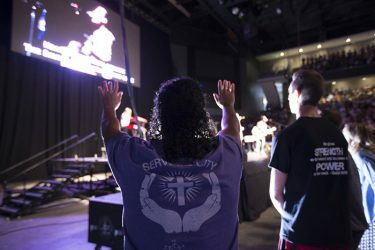 Large crowds turn out every Monday for Chapel, which is open to students and staff at Grand Canyon University. 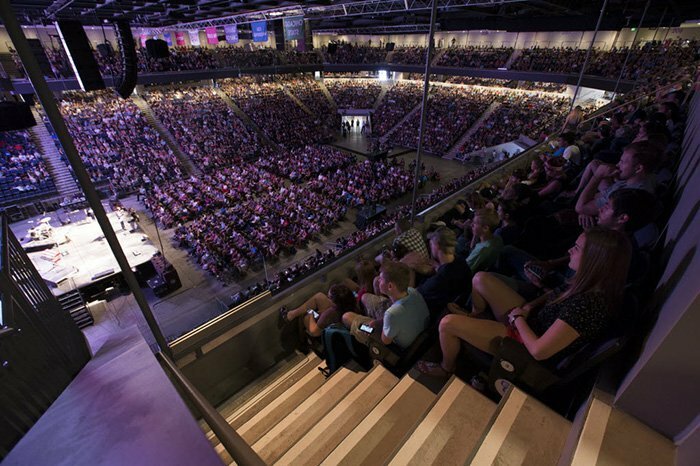 Four newcomers are among the eight speakers from outside Grand Canyon University scheduled to address Chapel during the spring semester. Chapel begins every week with music by student bands. The most notable is Rose Mapendo, whose foundation seeks to unite women of the Democratic Republic of Congo, Rwanda and Burundi and try to bring peace to the region. The Phoenix resident, whose family was a victim of the Congolese genocide, has won several major awards for her work, including United Nations Humanitarian of the Year in 2009 and the 2015 Muhammad Ali Humanitarian of the Year Award for Gender Equality. The other newcomers are Ashley Wooldridge of Christ’s Church of the Valley, Sean McGever of Young Life and Noemi Chavez of Seventh Street Church in Los Angeles. As usual, GCU President Brian Mueller’s Chapel talk will kick off the semester.